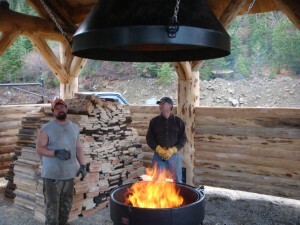 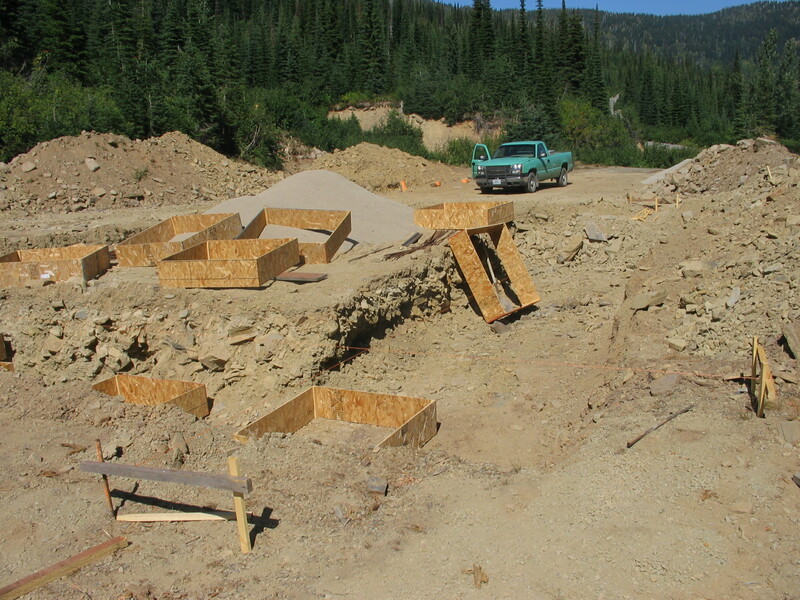 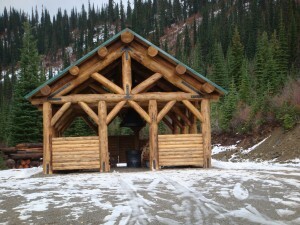 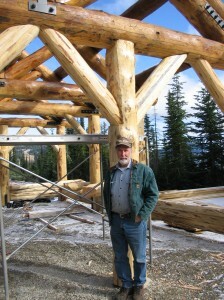 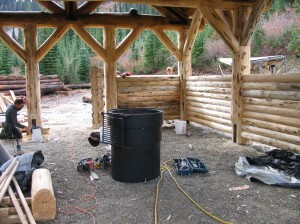 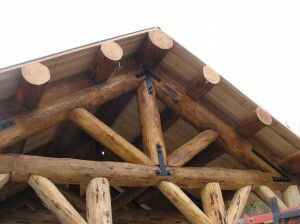 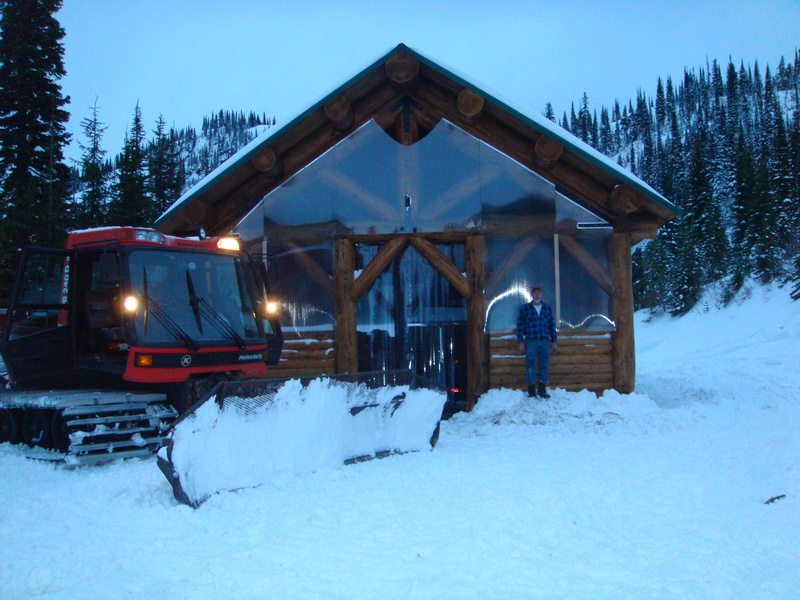 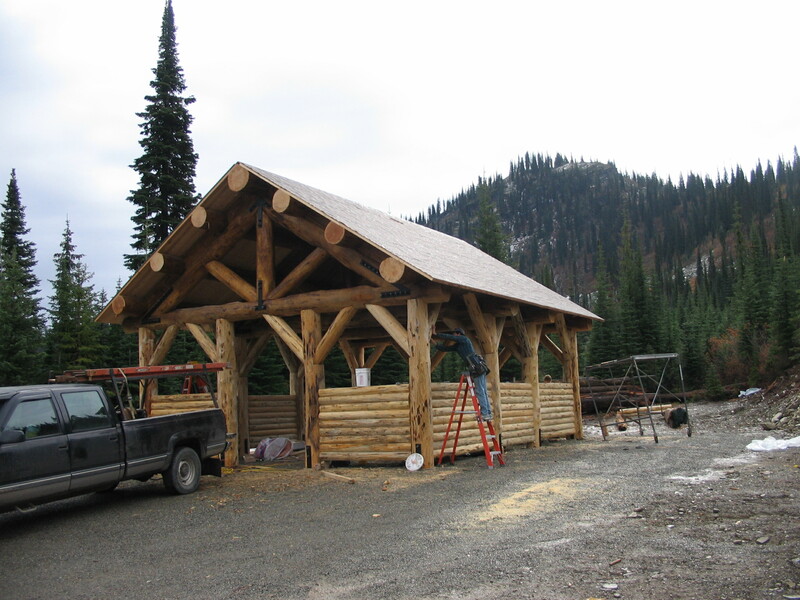 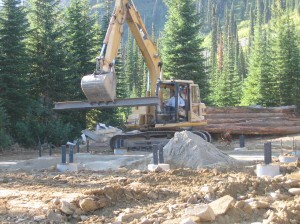 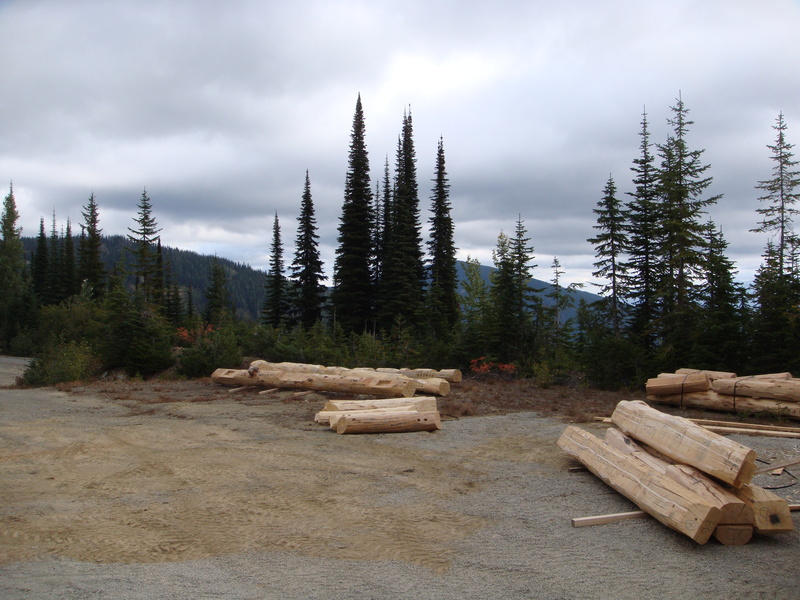 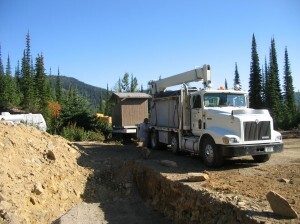 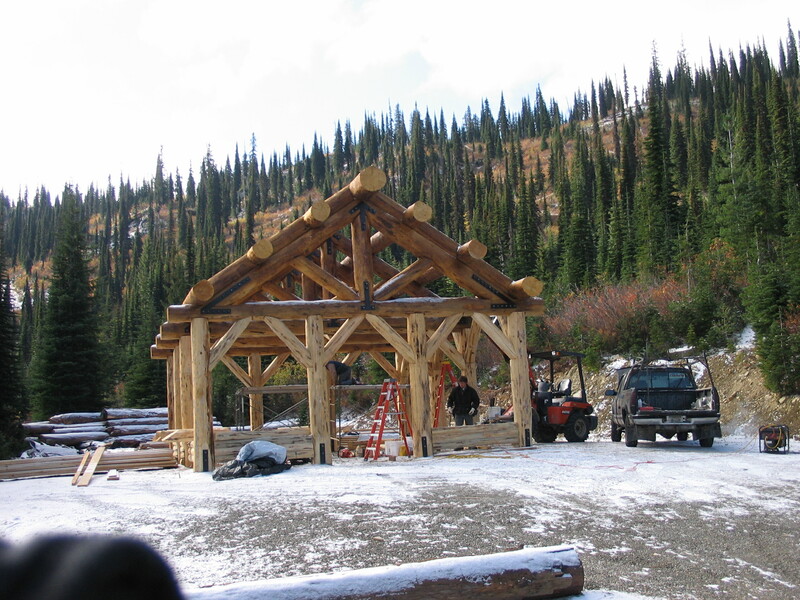 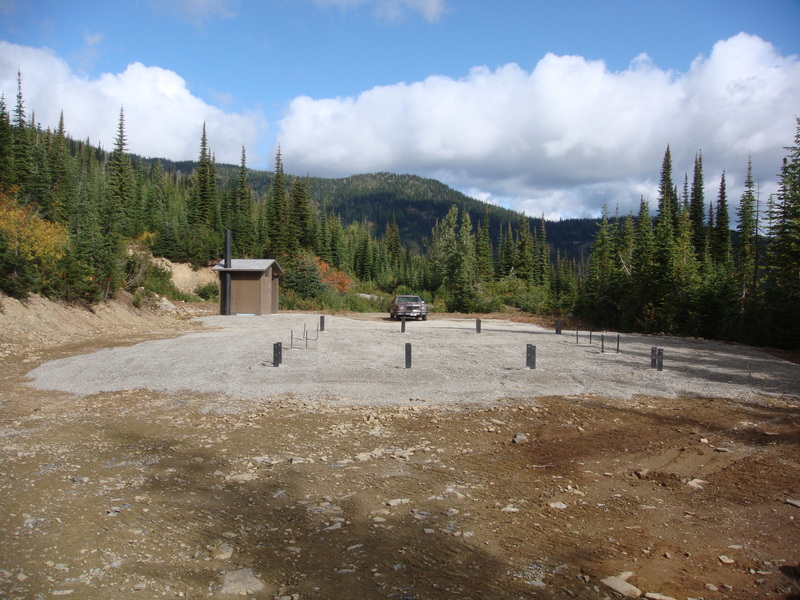 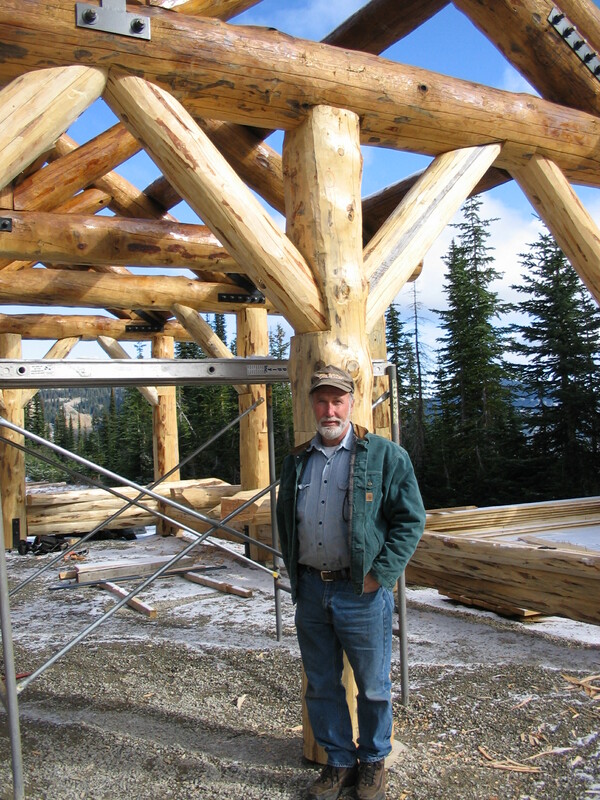 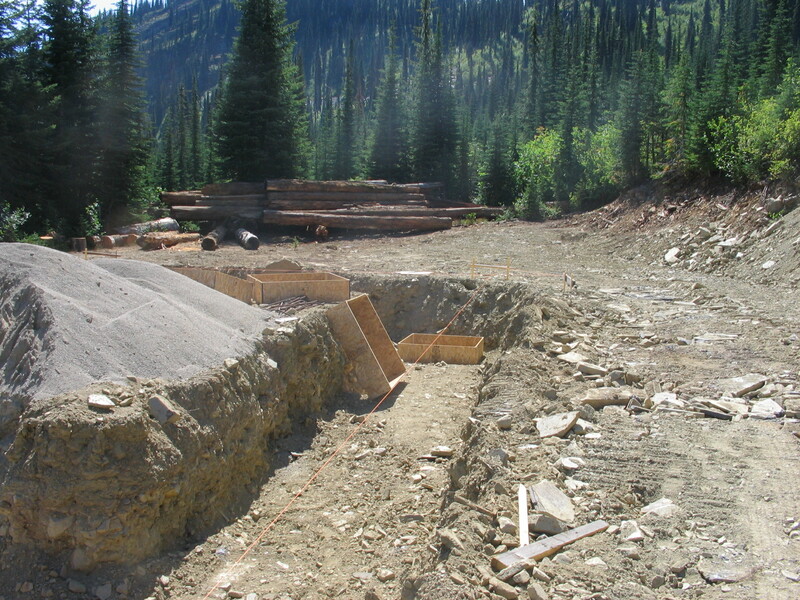 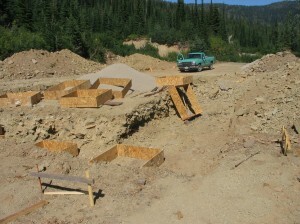 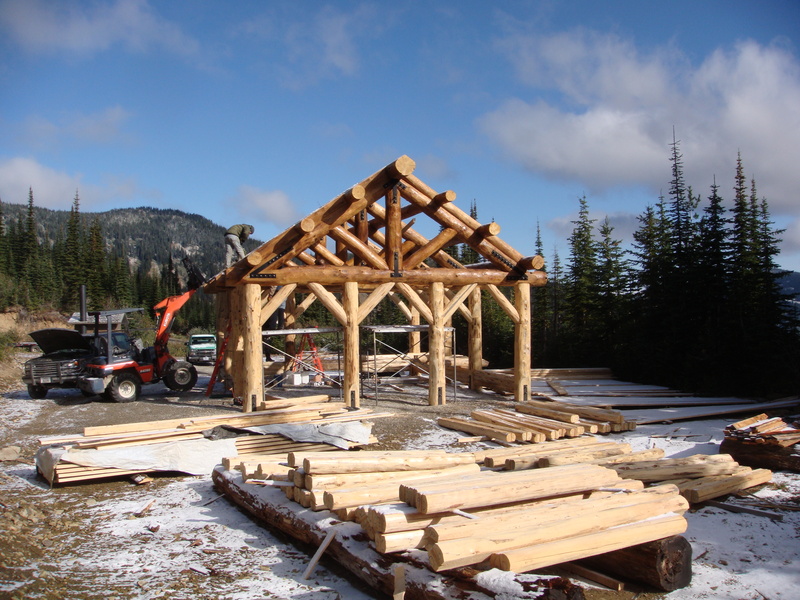 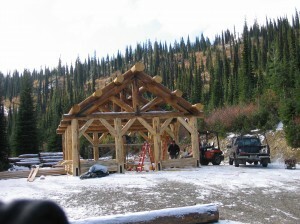 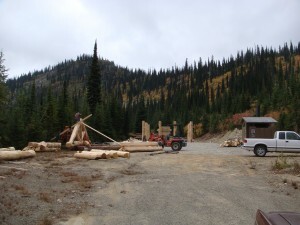 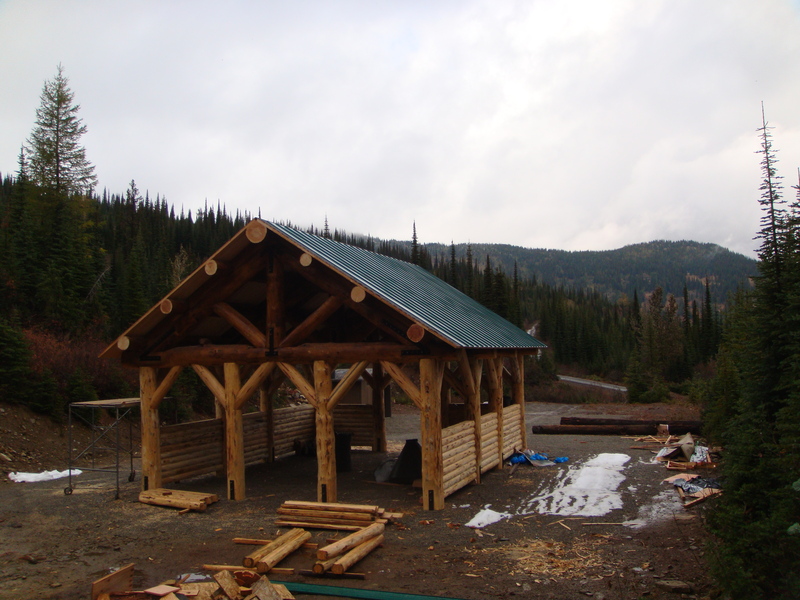 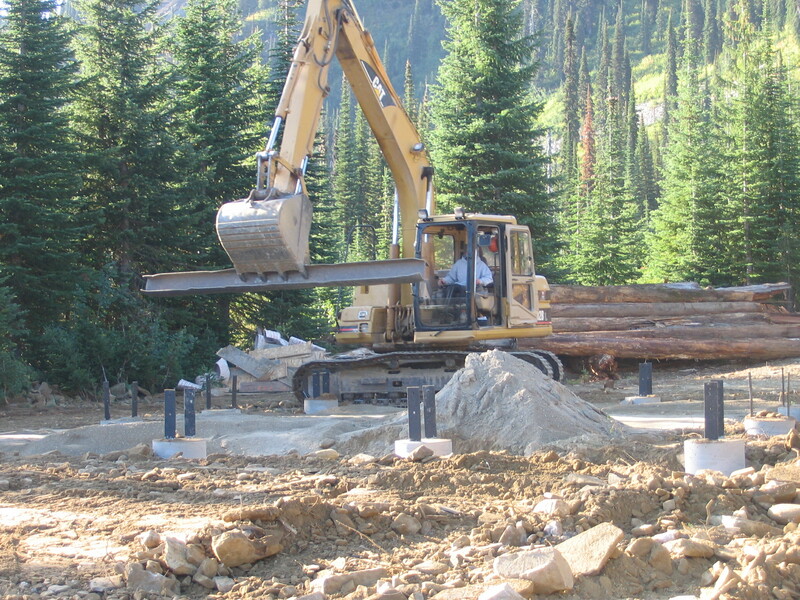 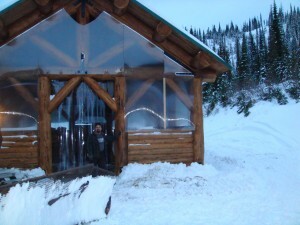 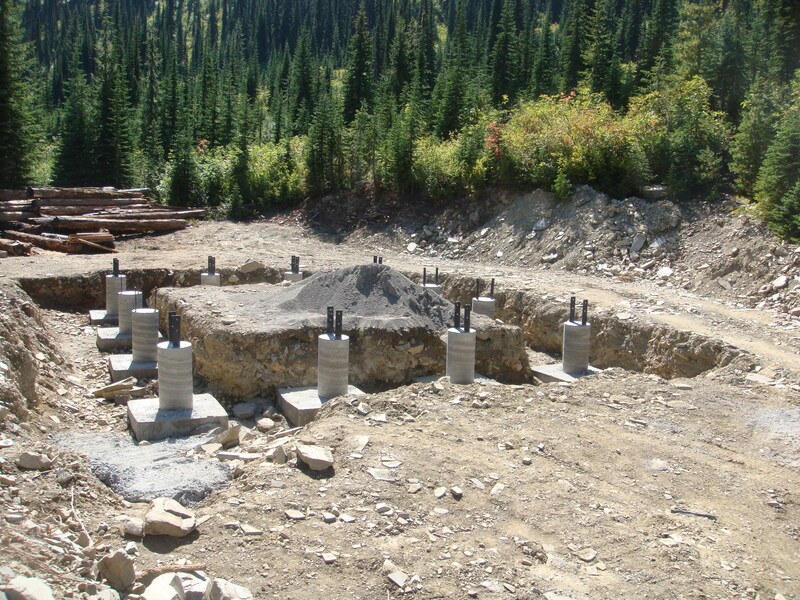 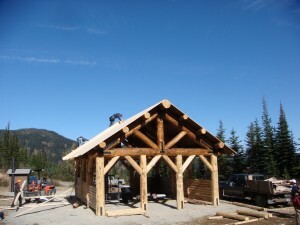 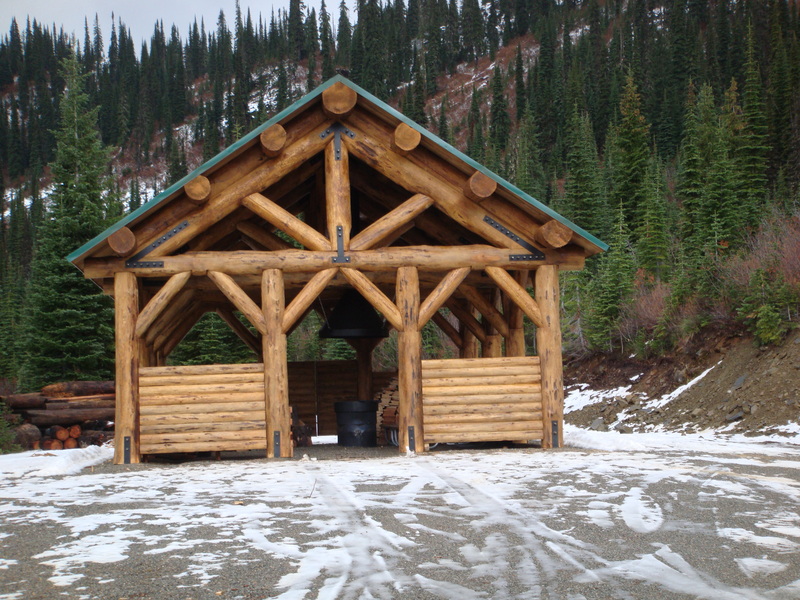 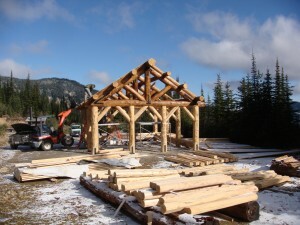 4 – Keeler Warming Hut Construction Phase September 2009 « Troy Snowmobile Club, Inc. 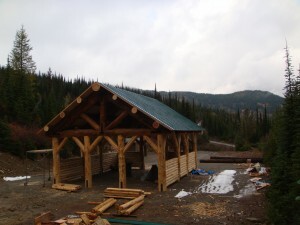 Roof finished! 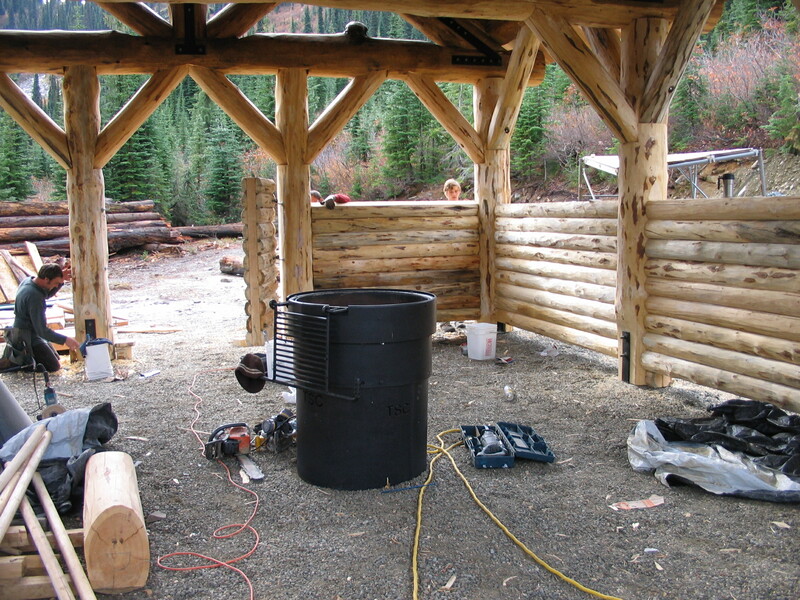 Stove installed! Trace of snow – season here. Photos courtesy of Mark Mason, USFS and Jerry Wandler, Project Manager.